Share this product and receive a $5.28 sharing discount. 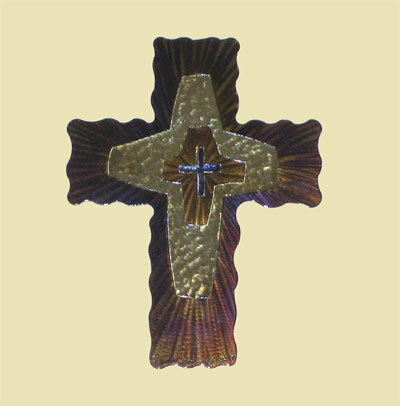 This stunning cross has been hand crafted by Artisan David Broussard through welding steel. This cross displays four crosses in one. It comes 5", 8" or 12" tall. This is for the 12" Cross. 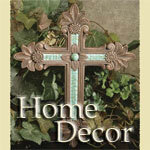 We are proud to introduce a new line of exquisitely designed crosses. Each hand crafted by Artisan David Broussard through welding steel. David says, "...The cross is not only a symbol of death, but even more, one of life and hope because of the role it played in the life, death and resurrection of Jesus Christ. For this reason, I choose to make them."